Last edited by Daniel Kinnaird on 13 Jun 2017, 22:54, edited 2 times in total. 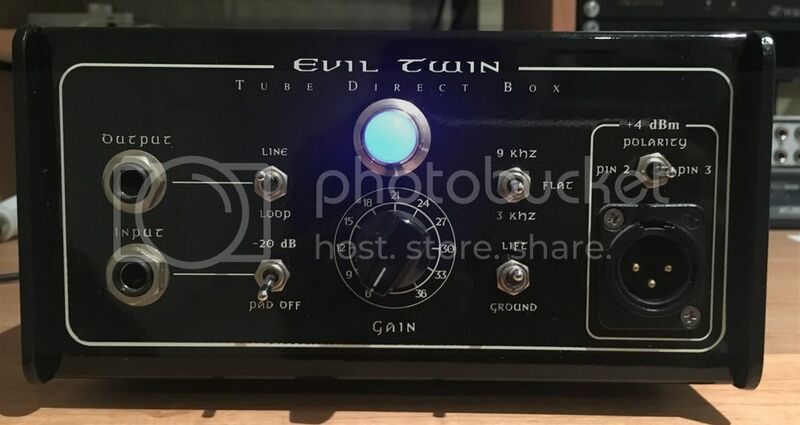 The Evil Twin is a line-level output tube direct box, which uses a low distortion nickel-core Jensen transformer for balanced +4dBm output. You will not need to use an additional microphone preamplifier to bump the signal up to line level, as most other direct boxes require you to do so. 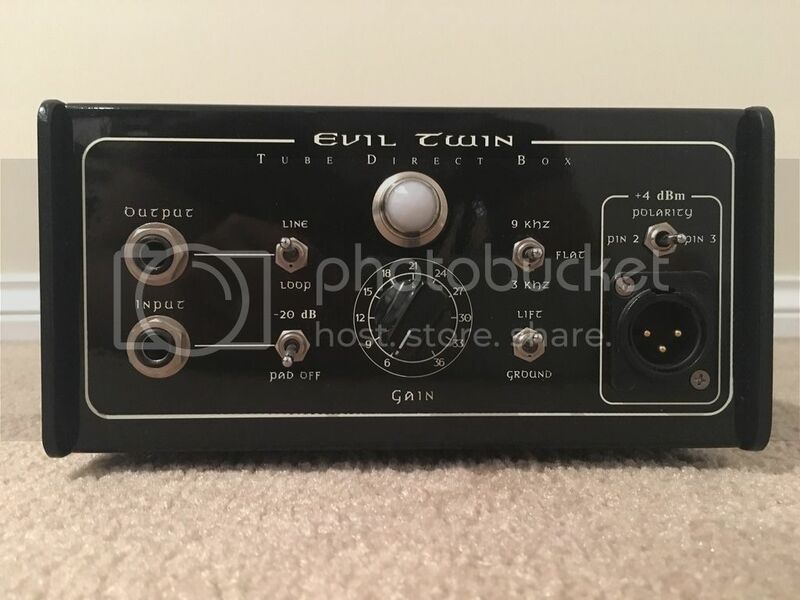 The Evil Twin itself has plenty of gain, adjustable from +6 to +36 dB. 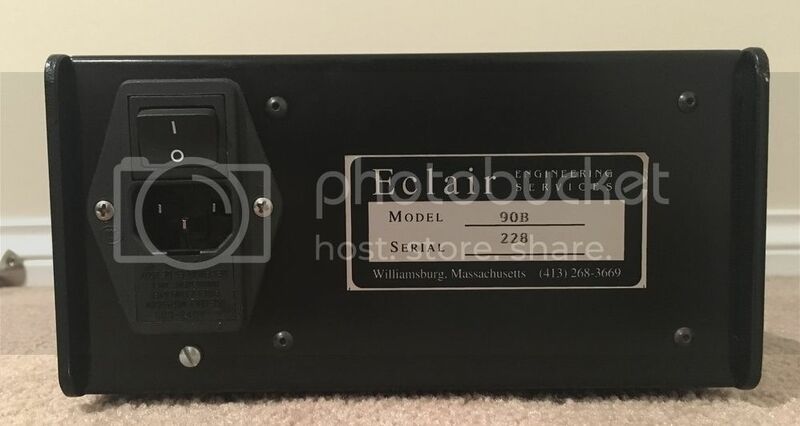 In addition to the +4dBm output XLR, there is a 1/4 inch output jack which can be set to loop-thru the instrument signal directly, or provide a buffered output signal at -10dBv. The buffered output prevents the signal from the instrument being loaded down by tuners or other devices plugged into the jack. Piezo pickups are especially sensitive to improper loading; the high 10 Meg Ohm input impedance of the Evil Twin is ideal for upright basses and guitars with these types of pickups. - Switchable =8dB presence boost at 3 KHz or 9KHz. - Fully regulated heater and B+ supplies. - Slow ramping-up of DC heater supply for longer tube life. - Premium film capacitors and silver solder use in construction. - Switchable 120/240 volt operation. - Can be used as a mic-pre for dynamic microphones with the proper adapter cable. - Tube life should easily exceed five years of constant use. *Unless otherwise noted, these measurements are made into a 10K Ohm load, at a gain setting of +15dB. Bruce Seifried has been hand building these since 1991, and they have been used on many thousand recordings. It has been used on albums by: Green Day, Metallica, Tori Amos, Red Hot Chili Peppers, John Mellencamp, Lyle Lovett, Sting, Bonnie Raitt, James Taylor, Little Feat... and many others. Man... if i didn't already have a U5 and a GT Brick, I'd be all over this! GLWTS.